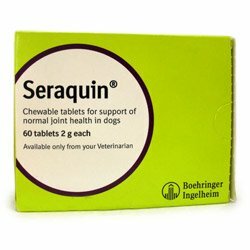 Seraquin is a popular joint support chewable tablet for cats. This joint supplement soothes stiffness, safeguards long-term joint health and promotes mobility. Recommended by vets, Seraquin is highly helpful for senior cats in improving their joint conditions. This joint formula reduces arthritis and other joint degenerative problems in cats. It supports cats to lead a healthy and active life. 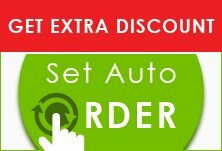 Seraquin for cats is designed with unique ingredients for optimal joint health. It contains active ingredients such as glucosamine and chondroitin for healthy joints. Glucosamine cushions joints and reduces friction. chondroitin helps reduce pain and increases mobility. Curcumin another active ingredient provides anti-inflammatory function. Judging by my pet's painless face and her activeness, would like to give it 5 stars. Great product and great company.